This issue has just taken on increased significance with the recent reported proposal by a Virginia politician, Virginia House of Delegates Democrat, Kathy Tran, to allow abortions in the 4th trimester – in other words, kill after birth. The proposal apparently has the blessing of the Virginia Governor, Democrat Ralph Northam (who is also under political fire for “blackface” and KKK photo issues). I believe the attainment of the goal of the proposal has been a defining issue and intent of the progressive movement and Democrat Party for many years. They continue to offer more irrational, extremist proposals in many areas of the Unites States of America (USA) Government. We are already far down “the slippery slope!” This onward march must be stopped! 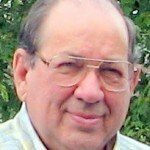 A little on-line research on birth control methods make it pretty clear, to a logical mind, that some of the methods actually abort the conception. 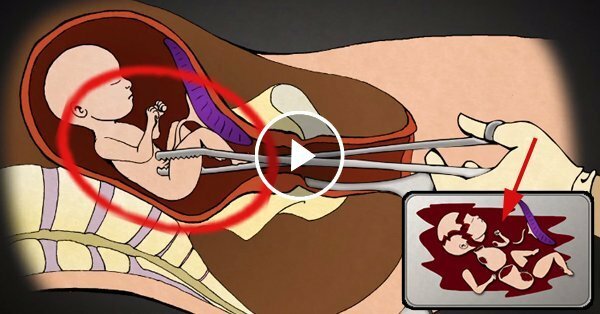 The baby is aborted when the union is prevented from attachment to the woman’s body. With some, or perhaps all, implantation of the union (fertilization) is prevented and the conceived baby dies. In the case of the “morning-after” pill, the result is achieved by massive hormonal doses. The use of hormones plays a major role in birth control methods and operate through the above described mechanics. So, the progression of abortion has taken us from elimination (subjection to destruction or death) of the conception product (baby) to the apparent state of killing the baby at or after birth. Pure evil! An American, Margaret Sanger, founded the organization known as “American Birth Control League (ABCL)” in response to concerns about the rising “black” and “yellow” perils in America. This organization eventually morphed, along with others, into Planned Parenthood. Concerns for their abortion activity, and funding by taxpayers through the US Government, have been widely discussed and opposed. Their goals appear evident. It is hoped that the below Bible verses will aid you in your study of the abortion issues. A good Bible commentary may be very helpful in interpretation of some of the verses, if needed. I feel that most are pretty straightforward in meaning. In comparing to other Bible versions you will likely find some differences in interpretation of some verses. I feel that the King James Version is closer to the language usage of the time period of interest. Bible verses related to Abortion from the King James Version (KJV) 5 by Book Order. The verse links are to an on-line source which states the verses a little differently from the below statements which are in accord with the above noted (5) reference. The reference is an in-print KJV study Bible. 6Whoso sheddeth man’s blood, by man shall his blood be shed: for in the image of God made He man. Genesis 9:6 (KJV). 13Thou shalt not kill. Exodus 20:13 (KJV). 22If men strive, and hurt a woman with child, so that her fruit depart from her, and yet no mischief follow: he shall be surely punished, according as the woman’s husband will lay upon him; and he shall pay as the judges determine. 23And if any mischief follow, then thou shalt give life for life, 24Eye for eye, tooth for tooth, hand for hand, foot for foot, 25Burning for burning, wound for wound, stripe for stripe. Exodus 21:22-25 (KJV). 12Let her not be as one dead, of whom the flesh is half consumed when he cometh out of his mother’s womb. Numbers 12:12 (KJV). 17Thou shalt not kill. Deuteronomy 5:17 (KJV). 19I call heaven and earth to record this day against you, that I have set before you life and death, blessing and cursing: therefore choose life, that both thou and thy seed may live: Deuteronomy 30:19 (KJV). 11And Naomi said, Turn again, my daughters: why will you go with me? Have are there yet any more sons in my womb, that they may be your husbands? Ruth 1:11 (KJV). 3And they said unto him, Thus saith Hezekiah, This day is a day of trouble, and of rebuke, and blasphemy: for the children are come to the birth, and there is not strength to bring forth. 2 Kings 19:3 (KJV). 3Let the day perish wherein I was born, And the night in which it was said, There is a man child conceived. Job 3:3 (KJV). 16Or as a hidden untimely birth I had not been; As infants which never saw light. Job 3:16 (KJV). 15Did not he that made me in the womb make him? And did not one fashion us in the womb? Job 31:15 (KJV). 9 But thou art he that took me out of the womb: Thou didst make me hope when I was upon my mother’s breasts. 10I was cast upon thee from the womb: Thou art my God from my mother’s belly. Psalm 22:9-10 (KJV). 38And shed innocent blood, even the blood of their sons and of their daughters, whom they sacrificed unto the idols of Canaan: and the land was polluted with blood. 39Thus were they defiled with their own works, And went a whoring with their own inventions. Psalms 106:38-39 (KJV). 3Lo, children are an heritage of the LORD: And the fruit of the womb is his reward. Psalm 127:3 (KJV). 13For thou hast possessed my reins: thou hast covered me in my mother’s womb. 14I will praise thee; for I am fearfully and wonderfully made: Marvellous are thy works; And that my soul knoweth right well. 15My substance was not hid from thee, When I was made in secret, And curiously wrought in the lowest parts of the earth. 16Thine eyes did see my substance, yet being unperfect; And in thy book all my members were written, Which in continuance were fashioned, when as yet there was none of them. Psalms 139:13-16 (KJV). 16These six things doth the LORD hate: Yea, seven are an abomination unto him: 17A proud look, a lying tongue, And hands that shed innocent blood, 18A heart that deviseth wicked imaginations, Feet that be swift in running to mischief, 19A false witness that speaketh lies, And he that soweth discord among brethren. Proverbs 6:16-19 (KJV). 5As thou knowest not what is the way of the spirit, nor how the bones do grow in the womb of her that is with child: even so thou knowest not the works of God who maketh all. Ecclesiastes 11:5 (KJV). 2Thus saith the LORD that made thee, And formed thee from the womb, which will help thee; fear not, O Jacob, my servant; And thou, Jeshurun, whom I have chosen. Isaiah 44:2 (KJV). 24Thus saith the LORD, thy redeemer, And he that formed thee from the womb, I am the LORD that maketh all things; That stretcheth forth the heavens alone; That spreadeth abroad the earth by myself; Isaiah 44:24 (KJV). 1Listen, O isles, unto me; and hearken, ye people, from far; The LORD hath called me from the womb; From the bowels of my mother hath he made mention of my name. Isaiah 49:1 (KJV). 5Before I formed thee in the belly I knew thee; and before thou camest forth out of the womb I sanctified thee, and I ordained thee a prophet unto the nations. Jeremiah 1:5 (KJV). 14Give them, O LORD; what will thou give? Give them a miscarrying womb and dry breasts. Hosea 9:14 (KJV). 16Samaria shall become desolate; For she hath rebelled against her God: They shall fall by the sword: Their infants shall be dashed in pieces, And their women with child shall be ript up. Hosea 13:16 (KJV). 13Thus saith the LORD; For three transgressions of the children of Ammon, And for four, I will not turn away the punishment thereof; Because they have ript up the women with child at Gilead, That they might enlarge their border: Amos 1:13 (KJV). 41And it came to pass, that, when Elisabeth heard the salutation of Mary, the babe leaped in her womb; and Elisabeth was filled with the Holy Ghost: 42And she spake out with a loud voice, and said, Blessed art thou among women, and blessed is the fruit of thy womb. Luke 1:41-42 (KJV). 28And even as they did not like to retain God in their knowledge, God gave them over to a reprobate mind, to do those things which are not convenient; 29 Being filled with all unrighteousness, fornication, wickedness, covetousness, maliciousness; full of envy, murder, debate, deceit, malignity; whisperers, Romans 1:28-29 (KJV). Can birth control pills kill unborn babies? Did you know that some birth control methods can cause abortion? Can Birth Control Use Cause an Abortion?